Here is a pretty little gold filled ring top by Moore. I like ring tops by Moore ring as they have a good quality feel to them. 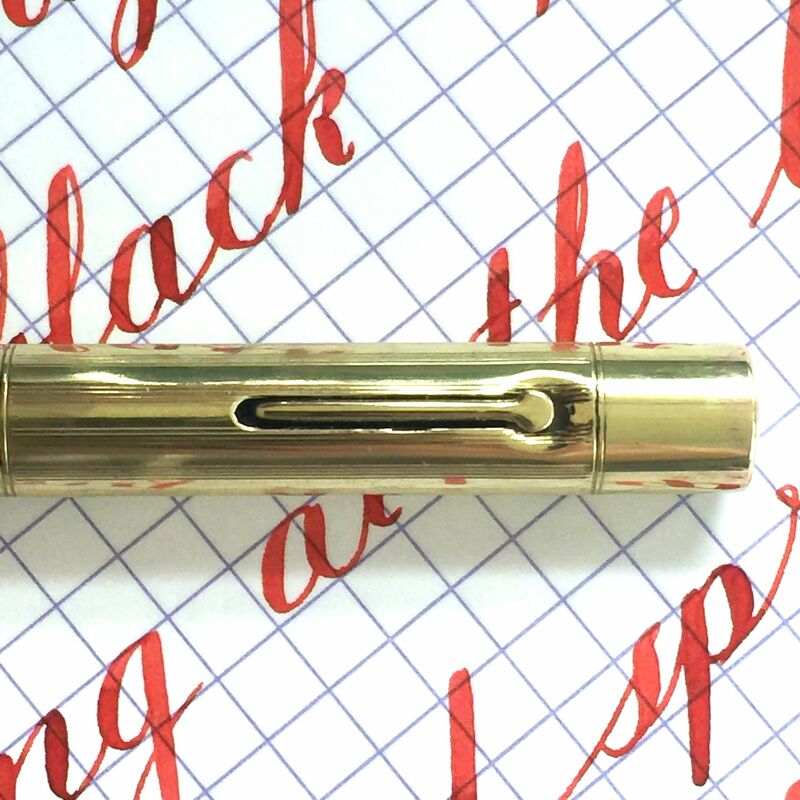 There are a nice weight and the caps always thread nicely. 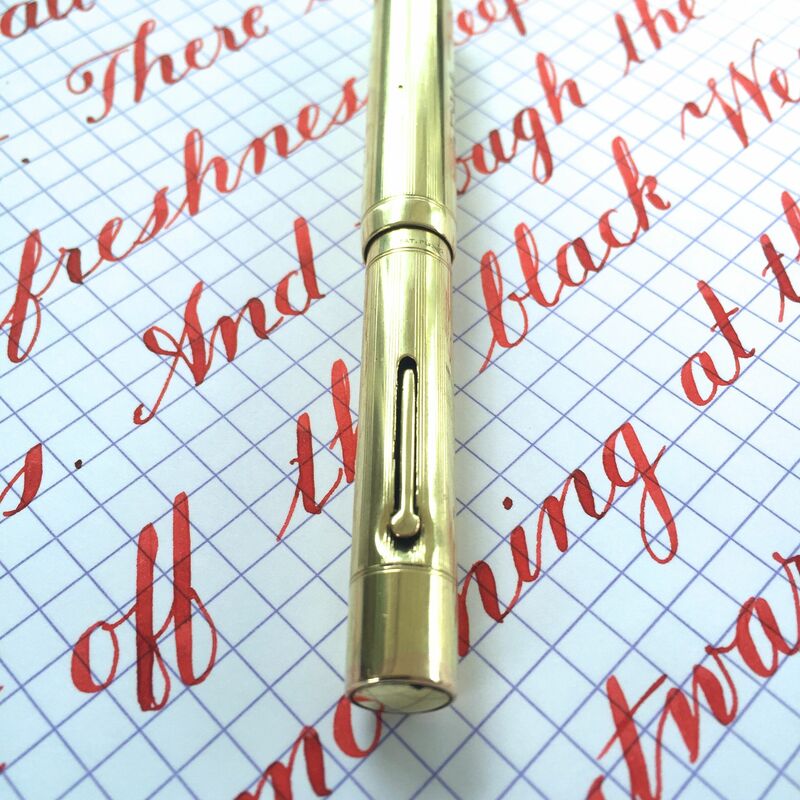 There is no brassing that I could find on this pen. 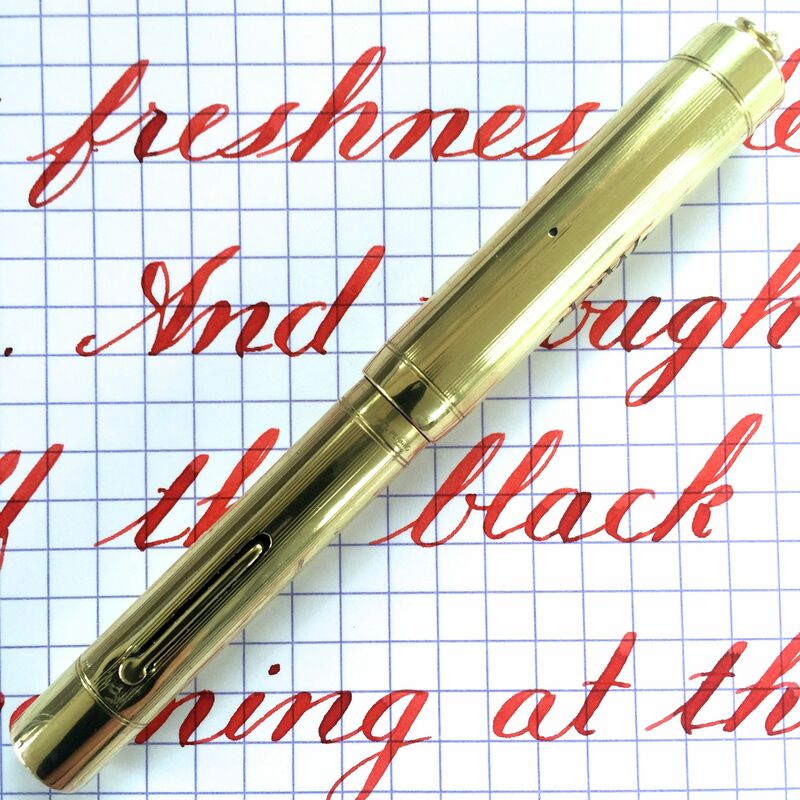 There is one small ding on the body, but other than that the pen seems pretty clean other than the usual light scratching that comes with normal use. 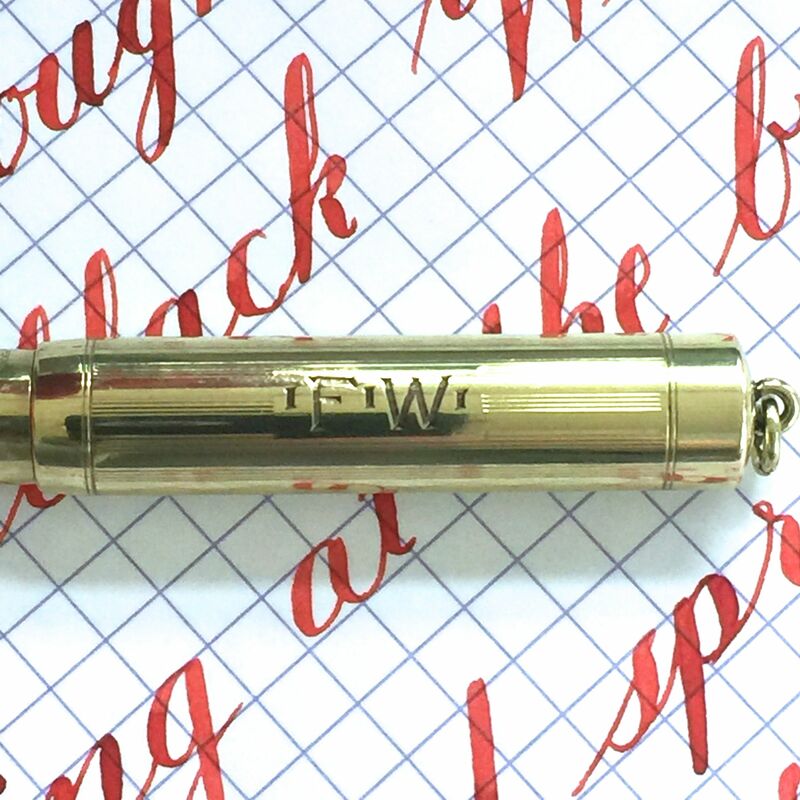 The initials “F.W.” are inscribed in the side of the cap. 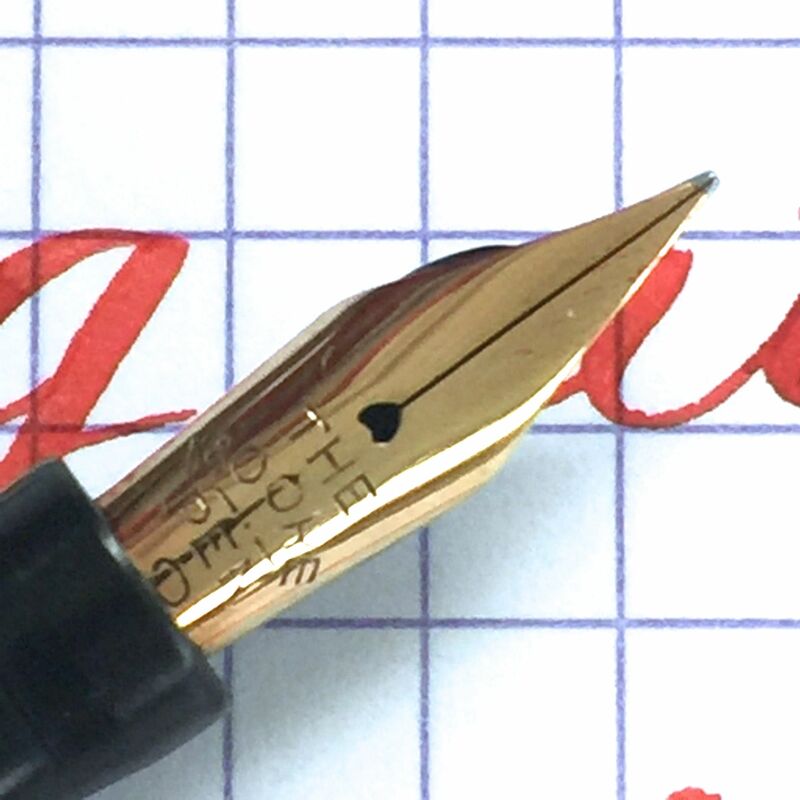 The 14kt #2 Moore nib is a very wet writing F that is smooth and soft, and it is has some fantastic flex. 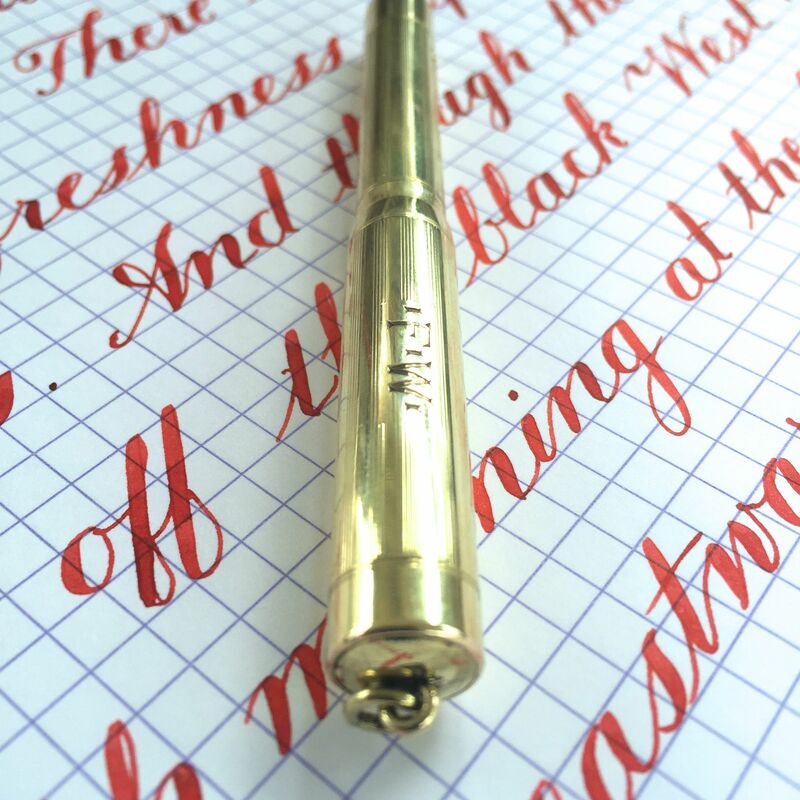 It ranges from a wet 0.4mm (F) to a large 1.8mm (BBB). It is very soft and smooth and has some nice responsiveness. A great, durable and portable noodle.